The Winx Club is complete in special four, Winx Club: The Shadow Phoenix, when Aisha, Fairy of Waves, joins the group! But she brings with her troubling news, as she tells of The Shadow Phoenix, a powerful and evil wizard. He's imprisoned her friends, the Pixies, magical creatures who hold the power of the Codex, and he'll stop at nothing to get that power and the power of the Dragon Flame held by… Bloom. 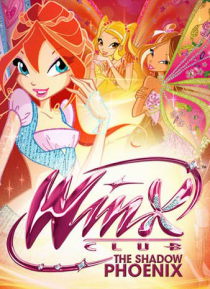 Secrets will be exposed and exciting discoveries made when you tune in to special four, Winx Club: The Shadow Phoenix!